Christmas is only a month away, but it’s not too late to hire or buy a ticket booth, gatehouse or storage space for your festive event. 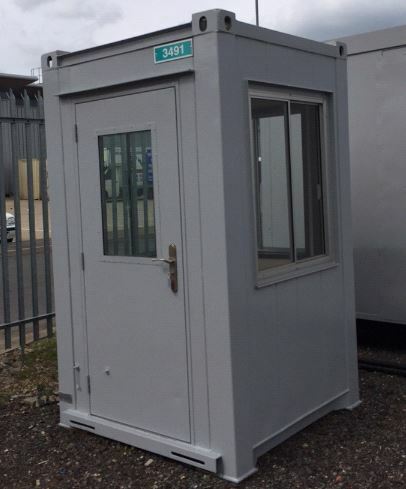 Christmas fairs and New Year celebrations are always popular events and whether you’re looking for an admission booth to provide secure, comfortable accommodation for staff or a gatehouse for car parking admission, Portable Offices has a range of units to suit every purpose and budget. These units are often the first thing your customers see and it is important that these are looking great, a quality item and are fit for their purpose. The Portable Offices range of security conscious gatehouses and ticket offices offer heating, lighting and power points. The flexible designs have also been used in the past as weighbridge offices, security kiosks, drivers checking-in offices and toll booths. These versatile and affordable units are available in either plastic-coated steel finish or vandal-resistant plate steel. All gatehouses and ticket offices have sliding, opening windows which offer vision to all sides, internal workspaces, worktops and are lockable from inside and outside.